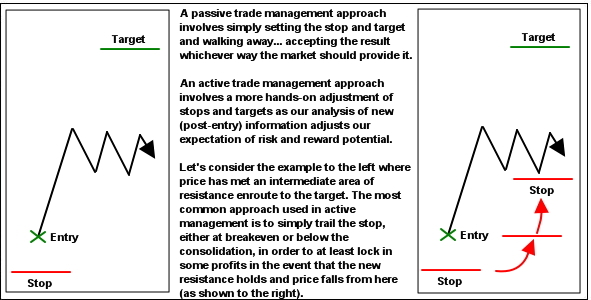 Active Trade Management for most people simply involves trailing of the stop loss order, first to breakeven and then behind significant price features as the market moves on its path towards the target. However there are other options available for those who wish to explore further. 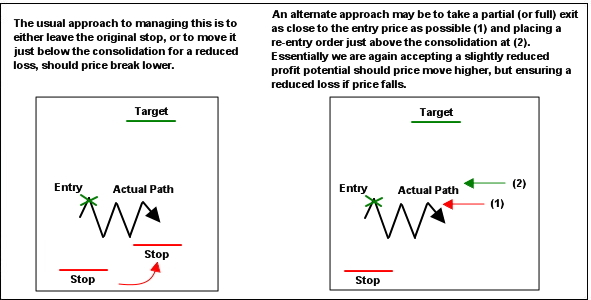 It can also involve scaling in and out of trade parts; adding risk or removing risk in response to your perception of ongoing trade potential. There are MANY ways that this can be achieved. 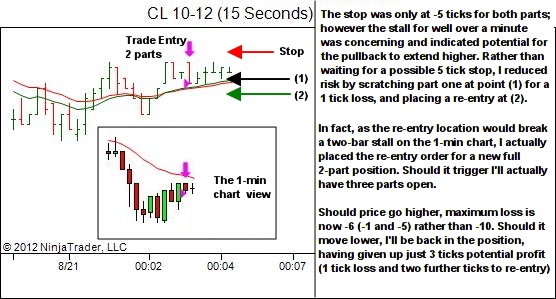 The following shows one simple option, in which risk is reduced at intermediate levels of short-term S/R and added again only if price breaks that level. 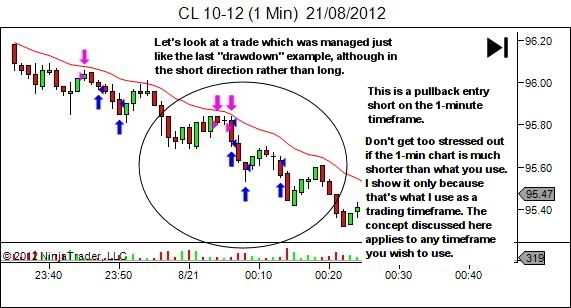 As always though… a little disclaimer… this is not the only way to trade. 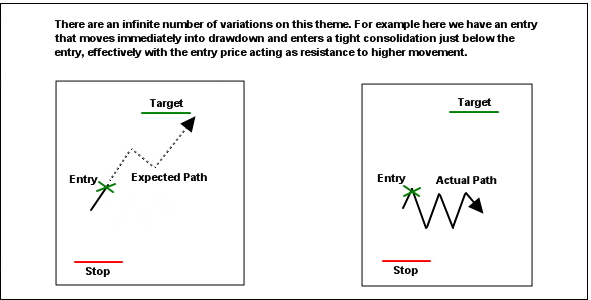 Your stats and your personality will determine whether you're better off using a passive trade management approach, a simple trailing stop, or some form of more advanced trade management method as shown here. So trial all options. And keep good stats! That's the only way to find the right fit for your personality and trading style. 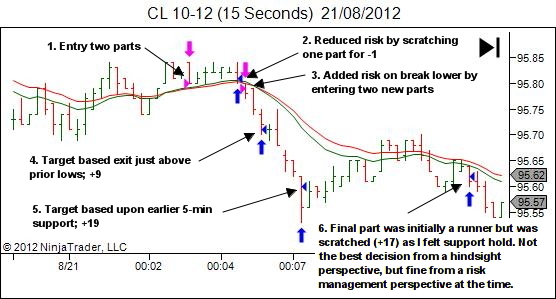 HFT’s are just one of the latest changes. Adapt and learn to work with them. The HFT’s are already in there. 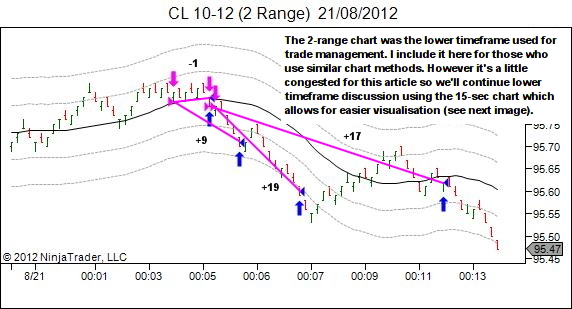 Did the chart offer price swings that are sufficient to profit? If so, then the presence of HFT’s has not destroyed all opportunity. Ignore all the fear that’s being spread in the mainstream media. 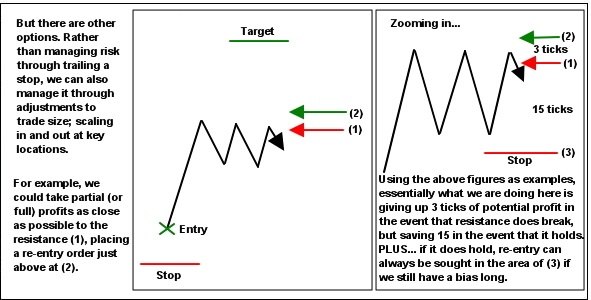 And learn to target the opportunity that is still available in the markets.